This is how the final decoration looks like. The first picture is with light in the room. This is how my Christmas tree looks like without light. This is the base of everything. 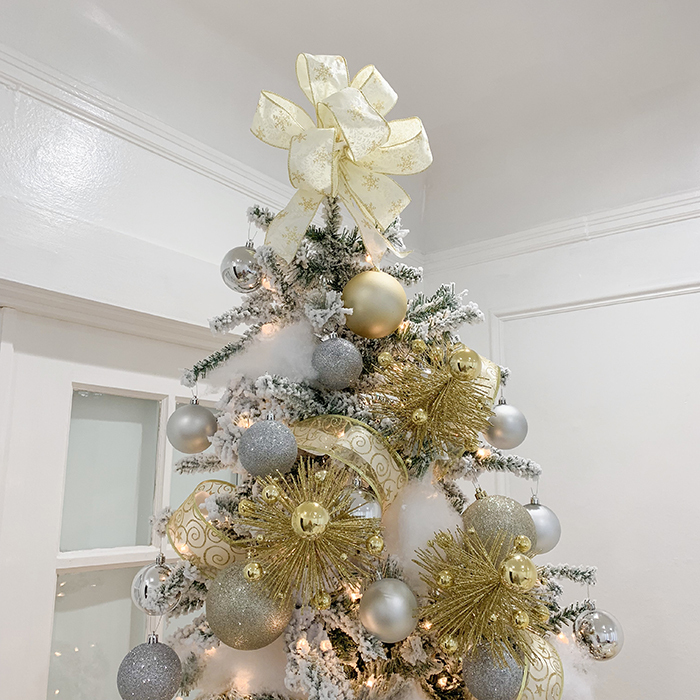 If you have a good tree, it'll look so pretty by itself without any decoration. It just saves you so much time and money. After researching, I prefer flocked and frosted artificial Christmas tree because it looks prettier and the snow feels real nowadays. 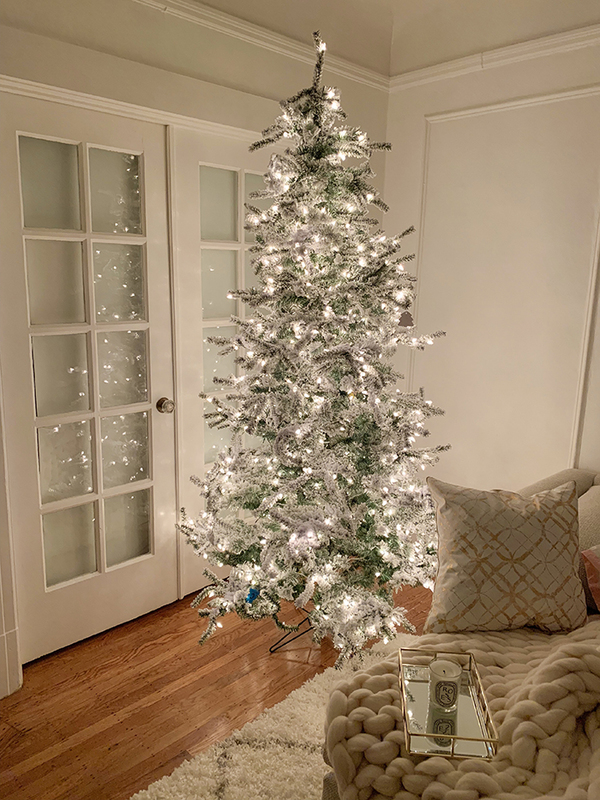 Mine is 7.5' tall and with 700 LED light pre-lit so I don't need to install any lights. Very convenient. It comes in 3 parts and super easy to install. Let me show you girls how it looks when I first received it. Am I right? So pretty already!!! I first put on these silver ornaments all over the tree. 50 of them for only $15! Can't find better deal than this. Then I added these golden ornaments around. I added these golden pine picks. My goodness! These pine picks are just so beautiful and they are more beautiful than it looks on their website. One order of pine picks comes in 4 of them. I ordered 8 of them in total. You can add some tree snows to fill in any gap to make the tree looks better. I couldn't find any tree online. The topper was basically just a ribbon that made by myself from these wired ribbons. What I love about these wired ribbons are they come in 6 different types so that I can mix and match. Besides decorating the tree, make a topper, I can also use them to wrap gifts. 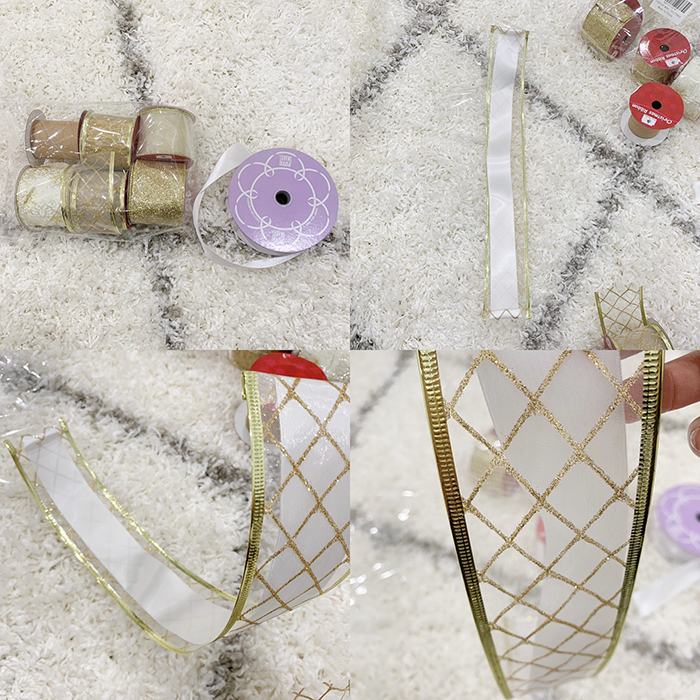 Here is how I made the ribbons on my tree. So I picked one type of golden ribbon from these wired ribbons. Mix it with these white satin ribbons. I cut both ribbon for about 15'' each. Stack them together. Wrap both ends with the wired ribbons. Then put both ends into the tree. Mixing two ribbons give the ribbon more texture and makes the ribbon looks nicer. These 3 gift boxes comes in different sizes are total for $10. Such a great deal. Most importantly, they look so pretty. I'd be happy to receive these gifts. Then I have some LED lights to make the floor looks nicer. My favorite Nordstrom has up to 60% off Black Friday sales. You girls should definitely snag Stuart Weitzman boots first because stock is going fast. I have multiple pairs in multiple colors. They are just so flattering and in such great quality. I be honest with you girls, I can see myself wearing these boots in many many years to come, haha. So that you know the cost per wear is low. There are a lot of mark downs on Tory Burch Bags and boots. Allow me to highlight my all time fav jeans. They are so good, stylish and affordable. You girls are probably sick of me wearing it, LOL. I just bought this jacket, it reminded me so much of Acne studio, but with a fraction of the price. Alo is fav active wear! You only know how good they are when you have them. They are so stylish and perform well. I wear them going out as well. I just got another pair of leggings. A lot of them are marked as 30% off. If you want, their own website has 30% off site wide with code EARLYACCESS as well! 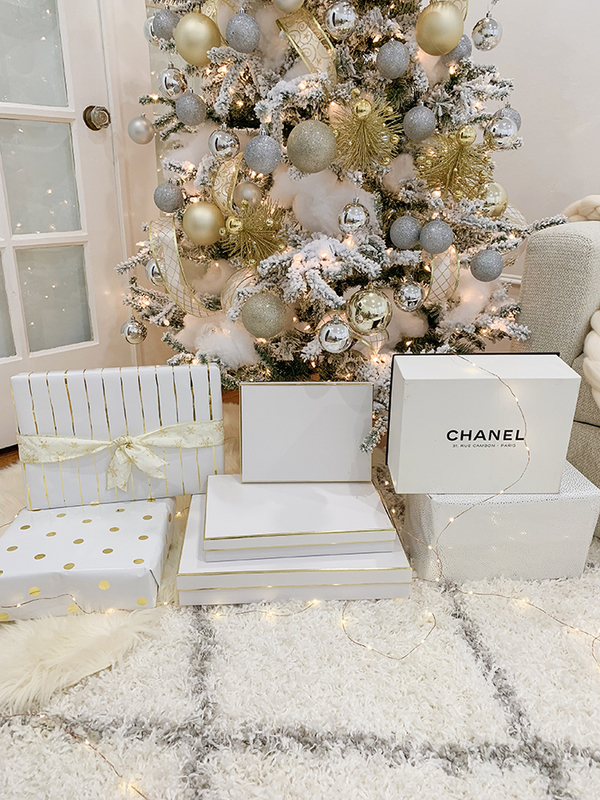 🙌Honestly there are so many good things to get, you girls can also get the gifts for you men, home, beauty and designer items. Shopbop has buy more save more event. 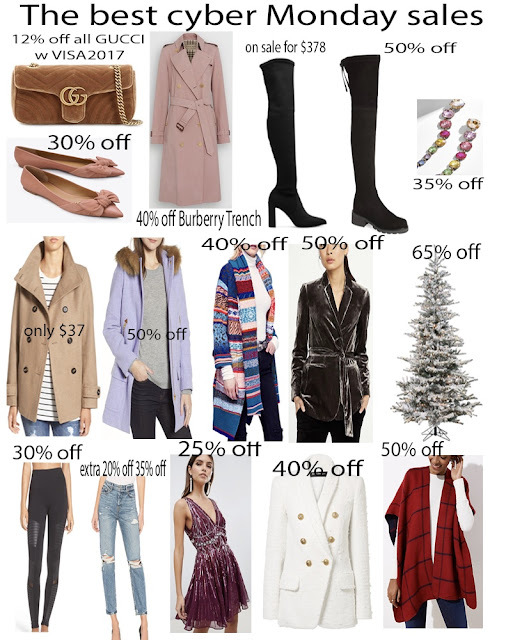 Let me share with you girls some of my recent outfits that are included in this sale. I love every single one of them! Besides what I have, I also recommend you girls to check out their Stuart Weitzman boots selection. Self-portrait dresses, Alexis and Zimmermann and will be perfect for the upcoming holiday parties and events. Of course, my all time fav jeans, this pair and this pair both are on sale. Chicwish has black friday early access up to 50% off. If you have followed me for a while, you know how much I love their pieces because how cute and affordable they are. Highly recommend their Pom pom sweater and pom pom cardigans. Baublebar has 30% off everything! No code is needed. 💃Accessories always make your outfit more fun. You girls know how much I love Baublebar. So many of my earrings are on sale. They are great gifts and also great stocking stuffer for Xmas indeed! Wayfair has up to 80% off Black Friday sale for home. For the past year, I felt in love with so many things they had offer. I bought a lot of furnitures and home goods from them. What's more exciting? I recently bought my FIRST EVER CHRISTMAS TREE FROM THEM!!! You girls can see how pretty it is from this pic and my instagram stories. 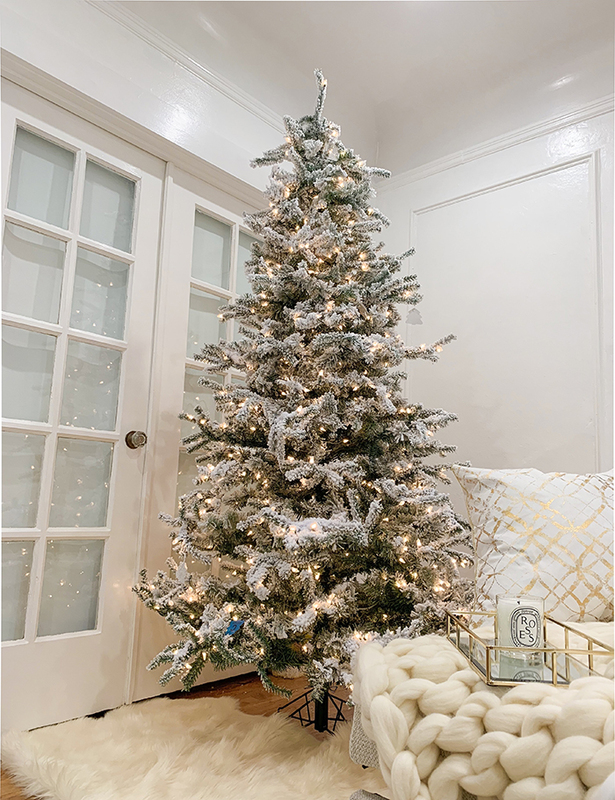 Besides my tree here, I also linked to the ornaments and accessories I used below. My Chloe nile bag is on sale for 30% off and here has the lowest price that I found for you girls!! Snag it before it sells out! Besides Chloe, there are so many other bags are on major sale as well! J.Crew has 50% off your entire purchase with code TGIF. This coat is probably their most popular item. It comes in so many colors. Highly recommend if you are looking for one. Amazon has there black Friday deals. Who doesn't shop at Amazon right? It has everything that you need from fashion to electronic etc. You can get Dyson v8 for $343! Add to your cart and apply the discount, you will see the price change to $303!!! Kendra Scott has up to 30% off. My statement earrings are so beauty and are perfect for the holidays! Revolve has up to 65% off sale. NET-A-PORTER has up to 50% off sale. A lot of Chloe bags are on major sale. Target has started their black friday early access. LOFT has 50% off everything with code THANKS. Sephora has selected items are on sale. SAKS has up to 60% off and $75 gift card when you spend $150. The $75 gift card doesn't happen very often. Tory Burch has 30% off site wide with code THANKS. They also added a section up to 60% off sale today. Code is the same. Nordstrom Rack has up to 75% off clearance sale. MYTHERESA has 30% off on selected items with code BLACK30. Canada goose and Stuart Weitzman are part of the sale. LVR has extra 20% off on sale items with code BF20. 30% off full price item with code BF30. Items with * are excluded. But it's a great place to buy designer items. 💋Hope you girls find what you love and also find the gifts for your loved ones. I'll continue to update this posts with the new updates from Black Friday. Make sure you come back for the latest updates. 💖Happy Shopping and have a great thanksgiving with your loved ones!